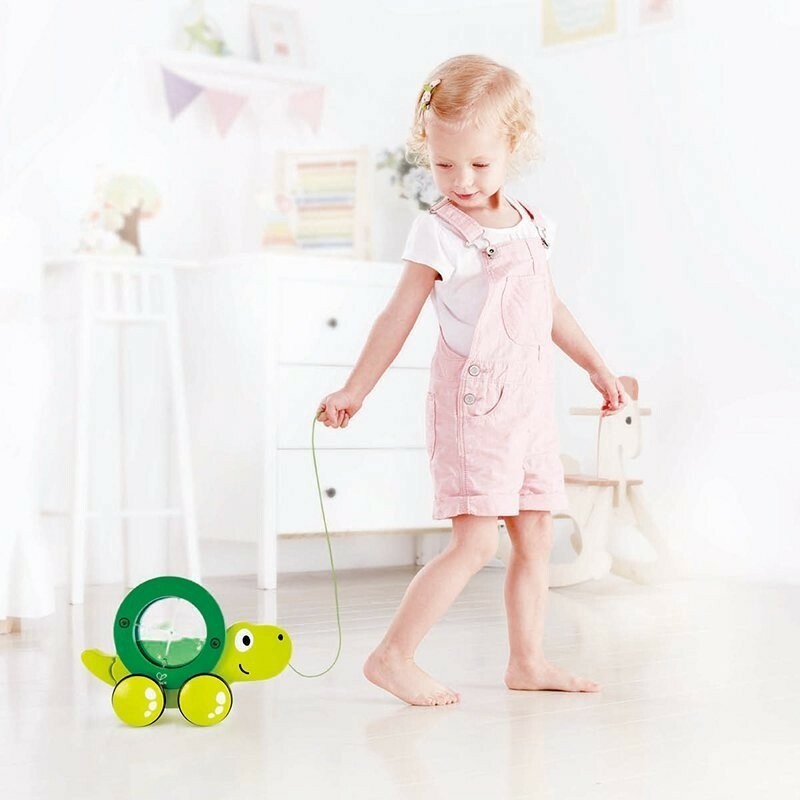 Tito the Turtle leisurely moves along with his shell rolling and twirling as little ones learn to walk and balance. 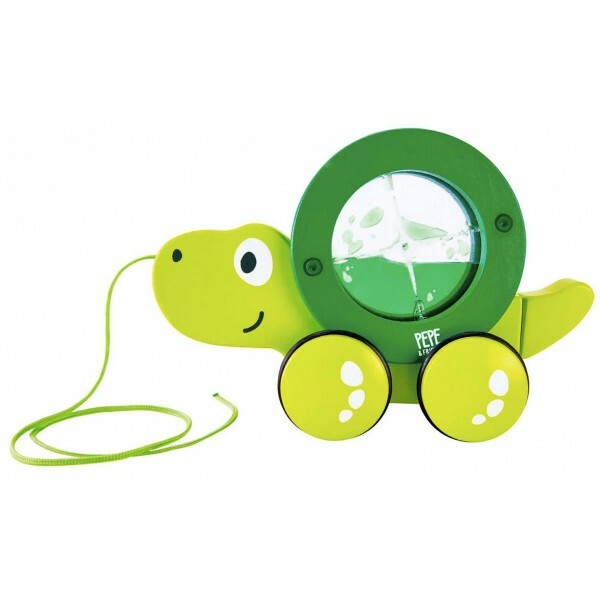 This delightful turtle pull along toy, which is great for developing children fine motor and strength skills. 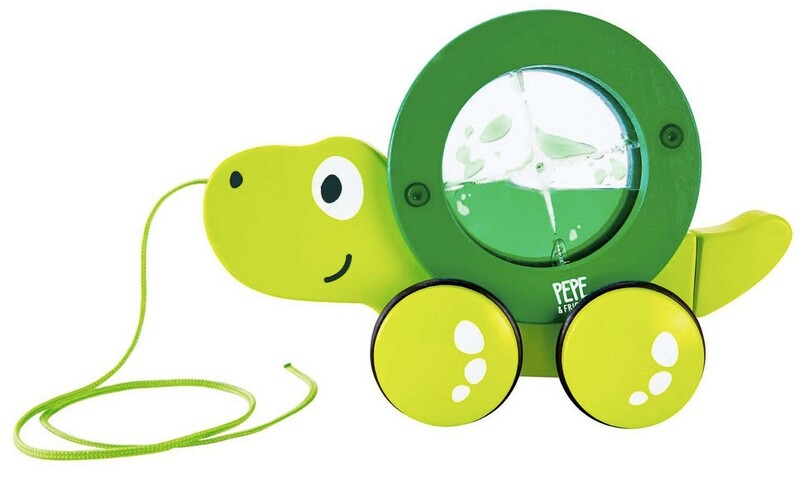 Watch the water swirl as he moves, or use the shell separately as a great learning opportunity. 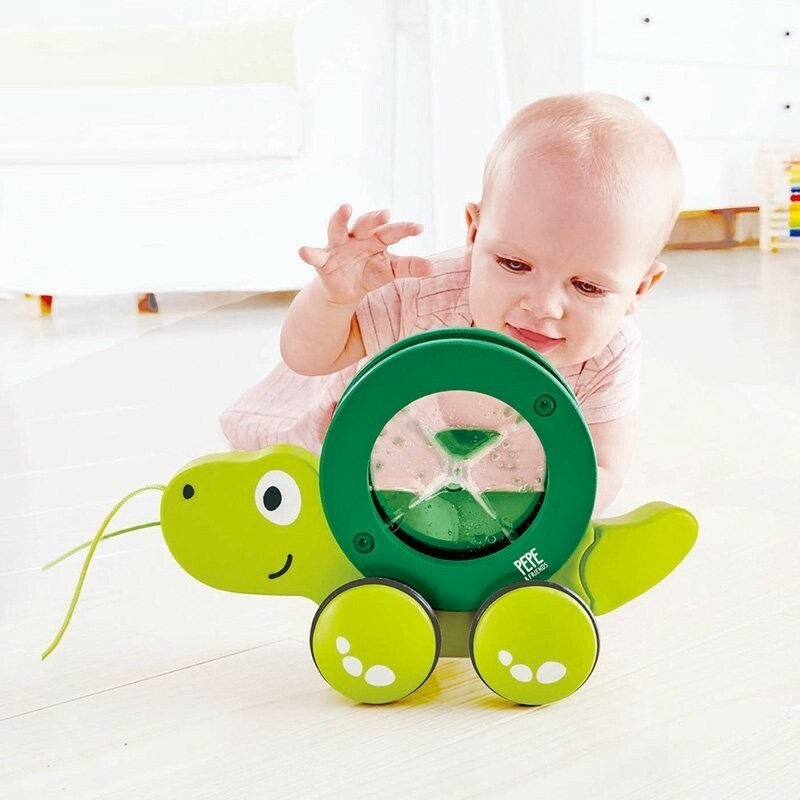 Kids will love the natural wood-inspired design and the playful appearance of this friendly turtle. 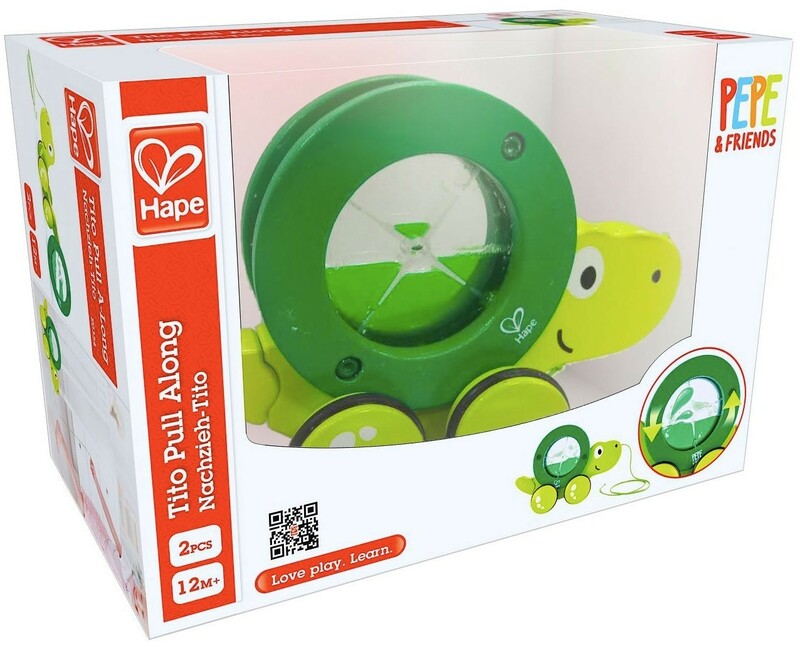 Like all Hape toys, this pull along toy is made with sustainably sourced solid wood construction and finished with non-toxic, child-safe inks.